North Wales is a great spot for family holidays as there is so much to keep children occupied. We have two kids ourselves and we have listed some of our favourite days out and things to do around the holiday cottage. Llanarmon and the surrounding area gives children the opportunity to explore, try new things, have fun and most of all be children! Wales is full of big mountains and children get a great sense of achievement from conquering one. Snowdon is the highest mountain in Wales and the Llanberis Path is quite an easy way to ascend. Perhaps best for children aged seven and above. Another option is to take the train up and walk back down. 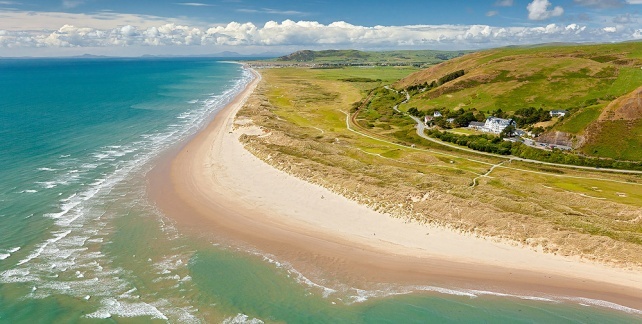 Head west from the cottage and you will hit the world class beaches that Wales has to offer. You will find beaches suitable for swimming, water sports, walking or just making sandcastles! Some of our favourite beaches are Barmouth (sandy), Llandudno (rocky but lots to do including a small fairground, punch & judy and cable car ride), Aberdovey (long sandy beach and does not get too busy – good for watersports), Tywyn (note – not Towyn which is not so nice). A little further away are the beaches on the Llyn peninsula, our favourite being the National Trust beach at Llanbedrog. There are some fantastic mountain bike trails at Llandegla and Coed-y-Brenin. While most are only suitable for more experienced riders, there are easier trails that are a great introduction to off road riding and suitable for younger children and novice riders. Alternatively, try the circular route around Lake Vyrnwy which takes about 1 to 1.5 hrs to ride. It is an easy ride and very picturesque. If you bring your own bikes on holiday with you we have plenty of secure bike storage. There are some excellent waterfalls in North Wales – it does rain occasionally and that is good for waterfalls! Our local waterfall is Pistyll Rhaeadr just outside Llanrhaeadr. You can take a short walk to the top of the waterfall and the views are stunning. From the waterfall there are some excellent walks up into the hills. We often treat ourselves to a Sunday lunch in a local pub having done a walk. Other recommendations are Swallow Falls at Betws-y-Coed and Rhiwargor Waterfalls at Lake Vyrnwy. There are lots of places you can wild swim in the area. There is normally a copy of a wild swimming book left at the cottage to give you some ideas of lakes and rivers you can swim in. Perhaps try Bala Lake or a dip in some of the pools at Rhiwargor Waterfalls. You can hire canoes and stand up paddle boards at both Bala Lake and Lake Vyrnwy. Both are excellent locations to get on the water and are safe. If you can sail they also rent small sailing boats. 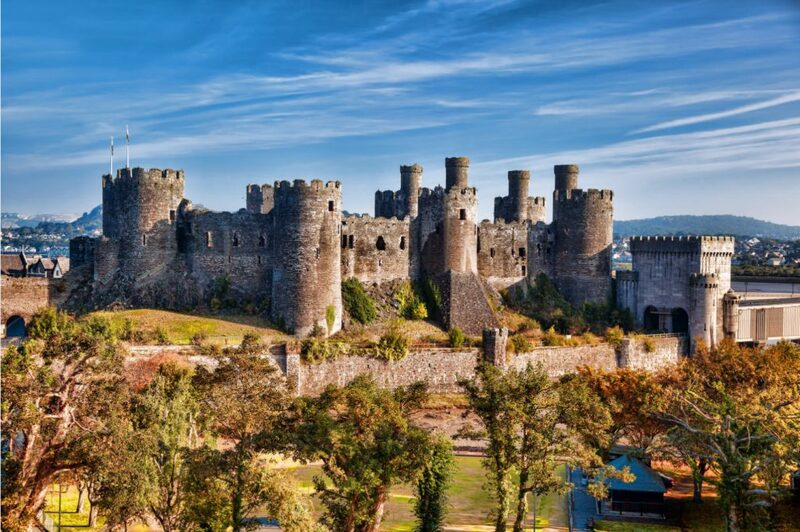 You are spoilt for choice when it comes to visiting a castle in North Wales. Head to Conwy Castle and combine the visit with some crabbing in the small harbour. At Criccieth you can visit both the castle and the beach. Harlech Castle is perched up high and has some great views across the beach to the sea. A bit further away, Beaumaris Castle is a great castle to visit as it just looks like a perfect castle. Our local castle Chirk Castle is a great places to visit and has some great walks in the grounds. A little visited gem is Dolwyddelan Castle. It has fantastic views and you will probably have it to yourself to explore. Chirk Castle and Erddig are both close by and highly recommended for a visit. We prefer Chirk Castle as the gardens are nicer. Bodnant Gardens towards Conwy is a truly fantastic garden and a great place for children to explore. Powis Castle is a very popular spot to visit and also has some fantastic tiered gardens to explore. Our children loved taking a steam train ride when they were younger. There are lots of small organisations still running steam trains in North Wales and it is a lovely way to while away an hour or so. The closest is in Llangollen. Chester Zoo is around 1 hour drive from the cottage and is renowned as one of the best zoos in the world. You could easily spend all day visiting this zoo. The National White Water Centre at Bala runs trips down the river towards Bala Lake. We did this a couple of years ago with some friends and we had a great time. Really professional bunch of guys. There are age restrictions so check these out when booking. There are also various rafting organisations based in Llangollen who will take you on trips down the River Dee. There are plenty of nice villages and towns in North Wales to visit. Llangollen in the next valley has the River Dee running through it and is always a popular place to visit. In the Snowdonia National Park you can visit Betws y Coed and Beddgelert. Both are nice places to visit and have riverside walks. Beddgelert has an award winning ice cream shop which always proves popular with our children. The last few years have seen an explosion in the number and range of outdoor activity providers in North Wales. Zip World is one of the biggest and they have a variety of activities such as zip lines, an underground trampoline in a slate cavern and tree top adventures. Surf Snowdonia has an inland surfing lagoon and also offer lessons for kids. New things are appearing all the time so jump on google and see what takes your fancy.